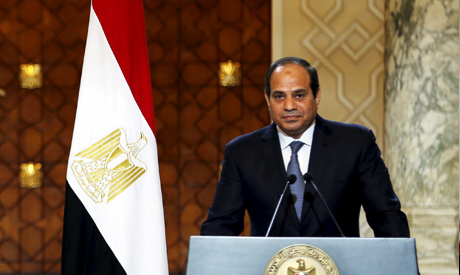 President Abdel-Fattah El-Sisi approved on Thursday a mutual visa exemption agreement between Egypt and Colombia for citizens of both countries. Egyptian and Colombian citizens will now be able to visit each others' countries without first obtaining a visa. In April 2015, Egypt and Colombia signed an agreement which stipulated that citizens from both countries who held either diplomatic or personnel passports have access to the other state without visa requirements. In 2012, Egypt decided to lift visa requirements for tourists from Morocco, Tunisia, Algeria, China, India, Azerbaijan, and Jordan in an attempt to boost the tourism sector. Egypt's ministry of tourism announced in 2015 that tourism receipts were down 15 percent compared with the previous year as a falling Russian rouble and security concerns took their toll on the sector. Egypt's tourism revenue fell to $6.1 billion in 2015, with the total number of tourists dropping by 6 percent to 9.3 million and the total number of tourist nights declining by 14 percent. What about the british? Why do we have to buy visa's?